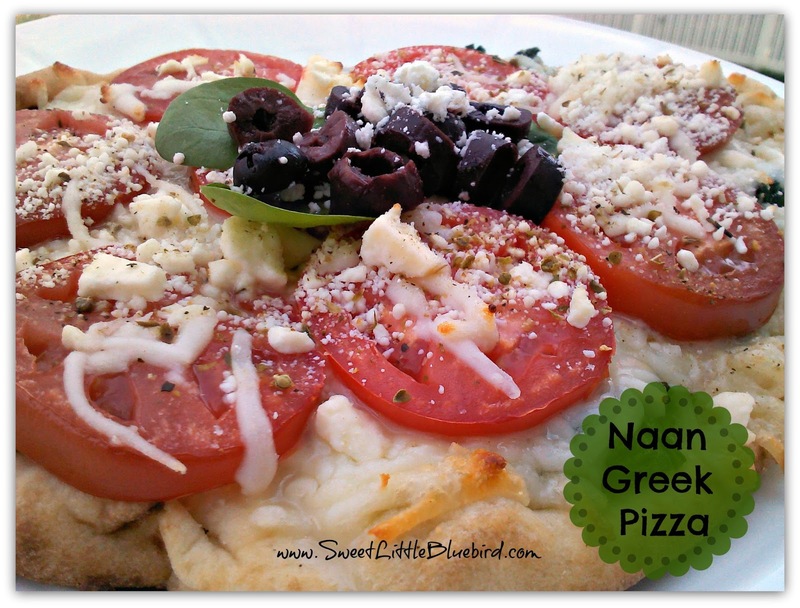 You may have read before, I’m a Greek girl with a little bit of Irish in me. Today I am sharing two favorites – Traditional Greek Salad and Naan Greek Pizza! use desired amount of each. Wash lettuce, tear or cut into bite size pieces. 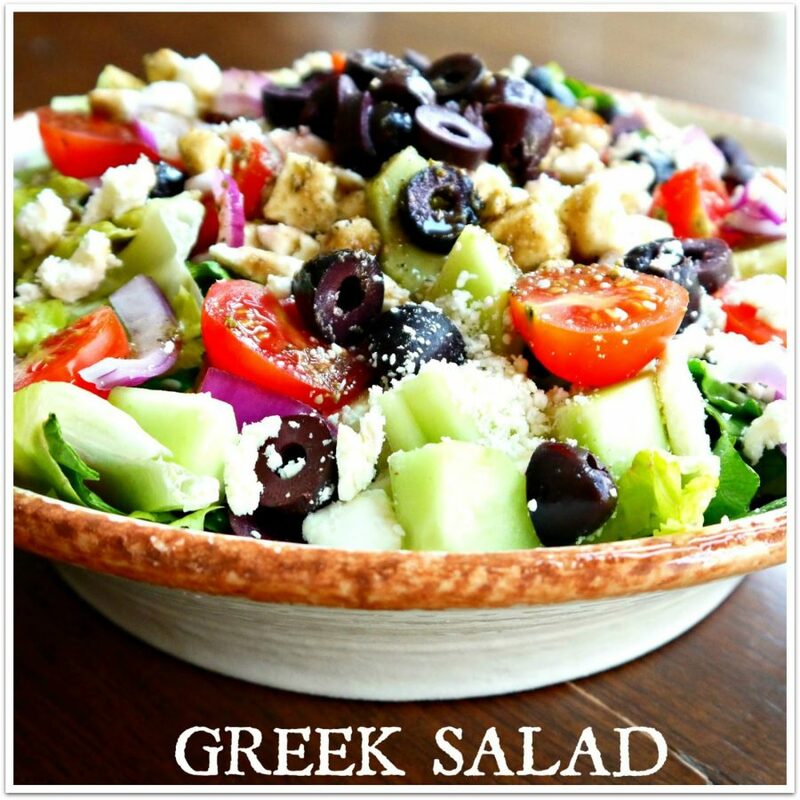 Top with desired amount of veggies, olives and feta, drizzle with favorite Greek dressing. Enjoy! Some additional toppings that go great on a Greek salad are beets and grilled chicken breast! 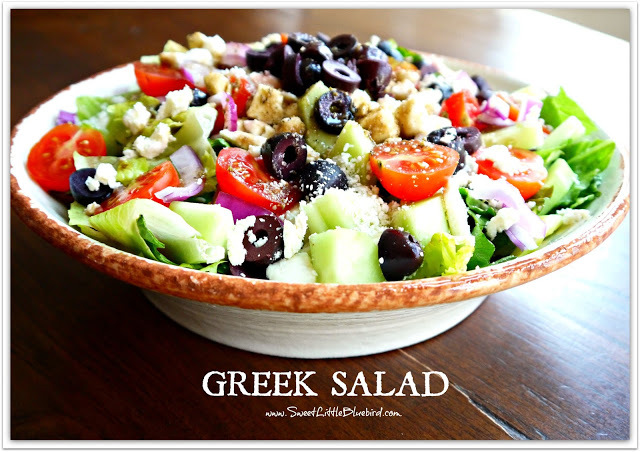 Use your favorite Greek store dressing or make your own. 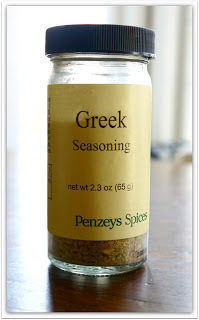 I use Penzeys’ Greek Seasoning dressing recipe – pictured below. It’s a staple in my home. 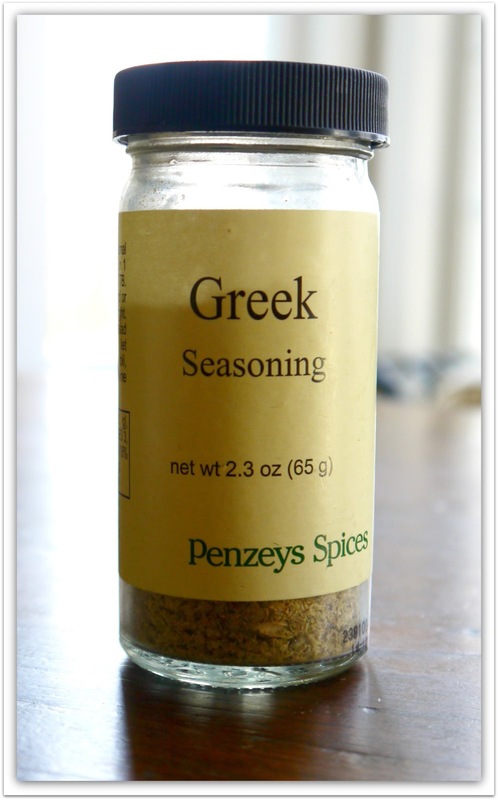 Mix 2 Tablespoons of Penzeys’ Greek seasoning with 2 Tablespoons of water, let stand for 5 minutes. 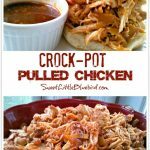 Add ¼ Cup olive oil, ¼ Cup salad oil, 1/3 Cup red wine vinegar (or ¼ cup balsamic vinegar and 2 Tablespoons of water), plus 1 teaspoon of sugar if desired. I love a little sugar added! Allrecipes.com has a great Greek House Dressing recipe you can check out too. Preheat oven to 400 degrees F. Lightly spray cookie sheet with non-stick cooking spray. 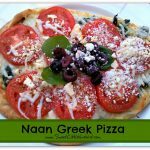 Place Naan on cookie sheet (or pizza stone) and brush tops with 1 Tablespoon of Olive Oil, divided equally among the 2 pieces. 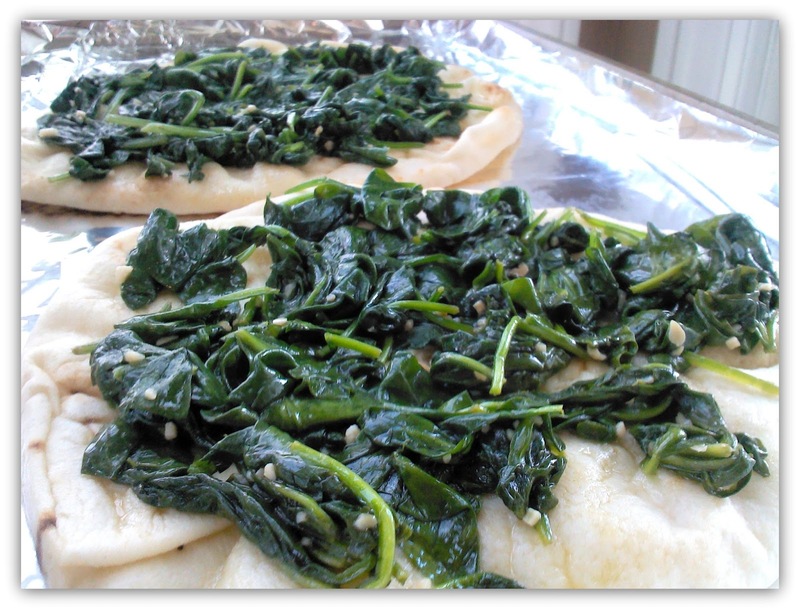 In a sauce pan, on medium heat, add 1 Tablespoon of olive oil and the 2 teaspoons of minced garlic, pour spinach on top and cook for 3 to 5 minutes, constantly turning the spinach. 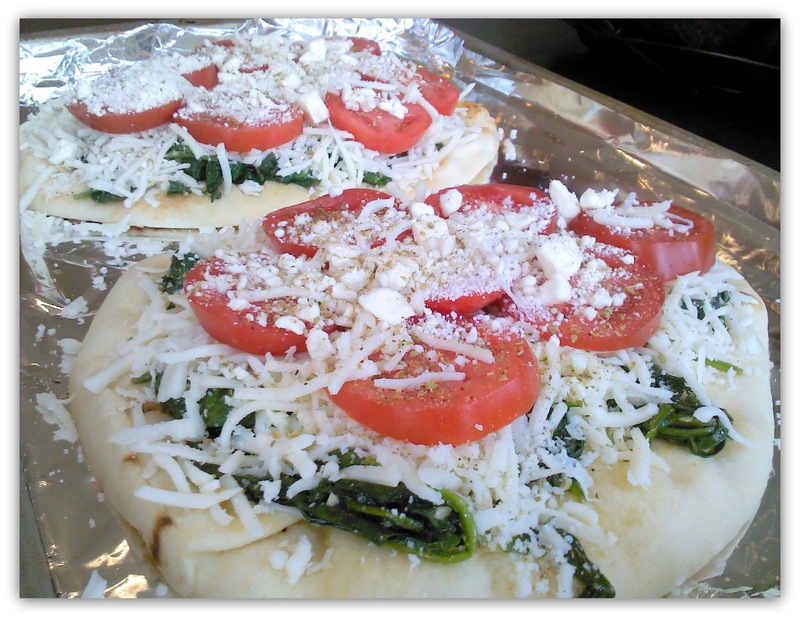 Remove from heat and evenly top pizzas with spinach. 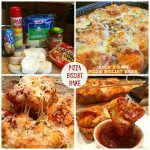 Next, add 4 oz of mozzarella cheese to each pizza. Top with sliced plum tomatoes. 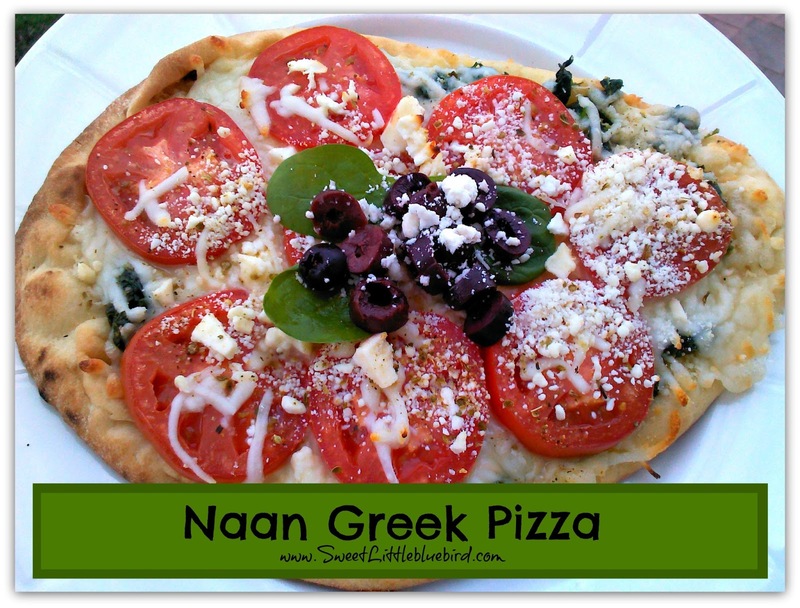 Sprinkle pizzas with feta cheese and Kalamata olives. Lightly sprinkle with Greek seasoning. Bake for 10-12 minutes on middle rack of oven. Remove, slice & enjoy! 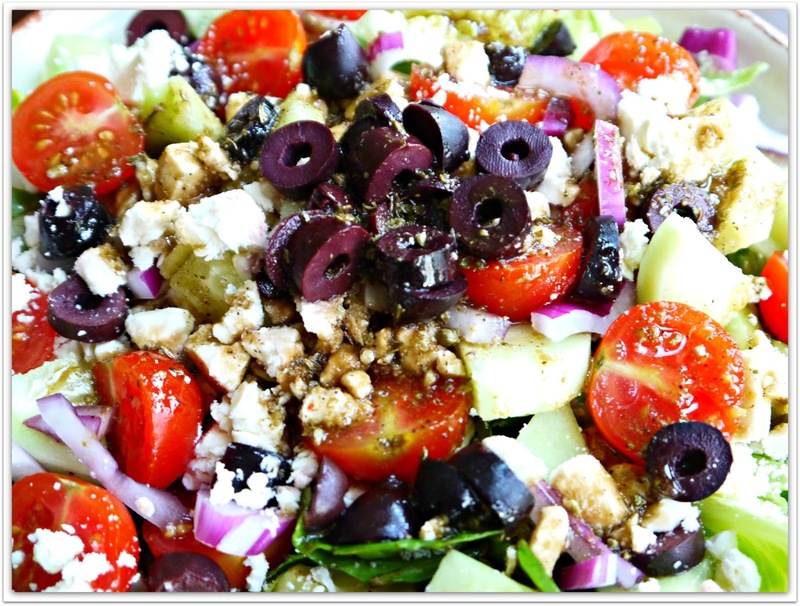 I love love love greek salad! Feta and kalmata olives makes everything taste good. Thanks, Lisa! That makes this GREEK girl very VERY proud!!! 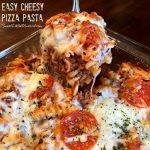 That looks amazing!!! I love greek salad! Yours is the yummiest I have ever seen! !